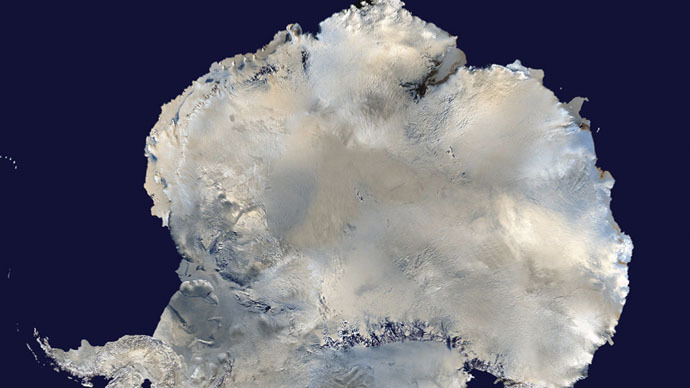 Russian scientists have made a new borehole into Lake Vostok, the prehistoric Antarctic water mass, which has been sealed for millions of years – three years after a previous mission was prematurely ended by an accident resulting in sample contamination. “This is an event of worldwide significance, which has huge scientific value,” said Russia’s environment and mineral resources minister Sergey Donskoy, as the expedition hit the water surface at the depth of 3,769 meters and 15 cm. The surface of the lake – now listed as the sixth biggest in the world and biggest in Antarctica – had been undisturbed by sunlight for over 15 million years, before it was reached by a Russian drilling team during the Antarctic summer three years ago. Scientists are hoping to find life forms in the pristine cold water – twice as pure as double distilled mineral water – that have no equivalent on Earth, but may exist somewhere else in the universe. The previous drill-through to the surface of the water, which is around -3 degrees celsius but does not freeze due to pressure, was hailed as one of the biggest geological discoveries on Earth, making the world media swoon. But the scientific results produced from that mission were negligible, due to an accident that set the team’s work back by years. When the drill bit reached the water in February 2012, the pressure made it shoot up hundreds of meters, mixing it up with the Freon and kerosene used to keep the borehole from freezing. Worse than that, in an unintended imitation of modern drilling methods, the pressure produced a hydraulic fracture about 3,300 meters from the well entrance. The anti-freeze agents seeped into the ice, while the rest of the borehole below them quickly froze. Although samples taken from the water in the lake showed thousands of life forms, no one could guarantee that it was free of contamination. So, for the last three years, the Russian team has been re-drilling those last 500 meters, through a parallel borehole. To this end, a special 50 kg probe has been developed, which ensures that the collected water – up to 1 liter in volume – is not adulterated by the antifreezing agents. And how soon will the world know if there really are alien life forms teeming below the surface? “We will need many years to fully interpret what we find, and a measured progress stretching seasons as we go deeper and deeper into the water mass,” says Lukin.